The Universe is constantly trying to express to you that you are here to feel ample, expansive and creative. Sometimes this deep-rooted wisdom gets drowned out in the hustle and bustle of everyday life. When I’ve lost my spiritual equilibrium I know it is time for me to release, and reset. Living on purpose isn’t always easy. Holding a clear intention can be overwhelming when you have to battle work, family, responsibilities, and setbacks. Yet in the midst of the chaos having a clear intention is essential. 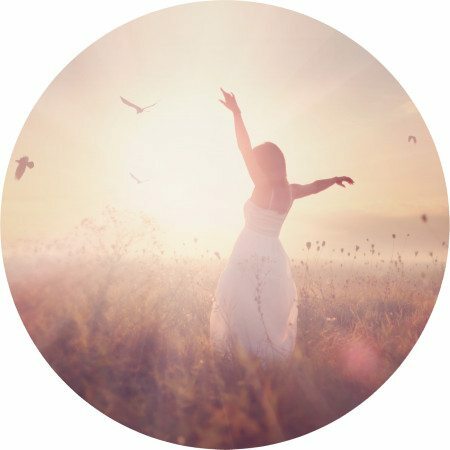 Energetic toxins cloud our spiritual receptors, and taint our energetic story. Manifesting your dreams with extra baggage is like painting a masterpiece with dirty brushes. You must cleanse yourself regularly, especially when you are feeling bogged down. Good spiritual hygiene will not only raise your vibration, it will align you with your highest good, your intuition, and activate your innate magnetism for all things magical! Your mental state is a big player in the life, and energetic story you are telling. Thoughts are active, and alive, they create the skeleton for that which you will begin to attract in your life. Your emotions nurture, color, and clarify your thoughts. If you think a negative thought it isn’t going to instantly show up in your life, but when you push that thought with the force of a strong emotion you start to manifest in the physical world. Gaining some control over your mental and emotional state will help to disentangle you from negative influence, and the garbage that exists in your life. What am I thinking about constantly? What am I feeling constantly? Why am I feeling these feelings? Asking these questions will help you identify what you are actually linking into, and intending into your life. Following these fibers of intention will take you deeper and deeper, going through the many layers that structure your personal universe. Think of this like a mind map. Title one bubble: Present Emotional Sate. And another titled, Present Mental Sate. Ask these questions, and begin to create shoots off of these two bubbles. You will begin to create a web of understanding. What thoughts do I want to think? What feelings do I want to feel? When do I feel good, expansive, fluid? When do I think clear, and creatively? You have just mapped out where you are, vs. where you would like to be. Create a statement from your maps that propels you forward, pushing you into a positive state of being. I am thinking clearly, positively and creatively. I feel amble, uplifted and whole. I am socializing with people who understand and inspire me. I am working on projects that stimulate, and fulfill me. My life moves with the rhythm of love and fulfillment. Repeat this statement daily. Especially when you are feeling out of your mind, and body. This affirmation will ground you deeper into your intention, and activate your energy for positive change. Awareness of your mental/emotional state releases you from limiting patterns, and blesses you with the energy of divine grace. One cup of Himalayan pink salt. Cedarwood, Rosemary, and Geranium essential oil. In a ceramic bowl mix together one cup of Himalayan pink salt with 13 drops of cedar wood essential oil, 12 drops of Geranium essential oil, and 5 drops of Rosemary essential oil. Cedarwood is grounding oil that connects you with the Earth. A sacred botanical for releasing and blessing. You will feel the benefits of the cedarwood as it release negative emotions, and calms your senses. When working with cedarwood I find that it tonifies the energy system. Geranium has a powerful uplifting quality that raises your natural energetic vibration. This botanical has an astringent quality that helps to clear away unnecessary energies, and tighten the aura which will protect your from negative debris. Rosemary stimulates the mind, releases painful mental blocks, and boosts your natural energetic protection. I find when working with rosemary that I attract positive influence, and I feel especially connected to my Spirit Circle and other helpers. After mixing together the salt, and the botanical oils, begin running your bathwater. You want your bathwater to be warm, and relaxing. This is a time for relaxation, and soaking. You want to slip into the tub, and let all your energetic toxins seep away. As the water is running, mix in the salt and oil combination. 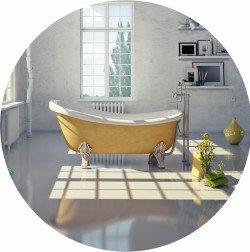 Allow the salt and oils to dissolve and disperse throughout the bath. Pour the mixture under the faucet as it runs will help to evenly distribute the oils throughout the water. When you are ready slip into the tub. Allow yourself to melt into the warm embrace of the waters. Let yourself fill up with the beautiful scents as they work through your body, untangle your mind, and emotions. Imagine the spirit of the botanicals working on your energy body. Visualize the gunk you have accumulated melting away and dissolving into the water. 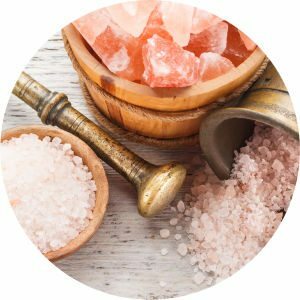 The Himalayan sea salt will absorb the negative energy, and the botanicals will replace their influence. Repeat the positive affirmation you’ve already written. Speak it out loud with all the good feelings you can muster. Let this intention become your truth. As you speak your intentions aloud, see yourself beginning to glow. Glow with whatever color feels magnetic, expansive and in alignment with your highest good. Be sure to fully submerge yourself. Paying extra attention to the head, and the base of the neck. This is where we hold tension. The base of the neck and head are where we take in a lot of stray energy. When you are finished imagine yourself being surrounded by the white light of protection, the blue light of healing, and the pink light of love. Speak your affirmation one last time. Express a feeling of gratitude. And let the bath drain out. Towel dry. Put yourself in a relaxed state, and just feel the good vibrations all around you. After such a bath it is ideal to get into bed, or do something that promotes a feeling of ease. Repeat this ritual as often as you would like. Weekly is a good idea. When you feel especially out of sorts do this ritual 3 days in a row. Be cautious when using botanical oils if you are pregnant, or allergic.